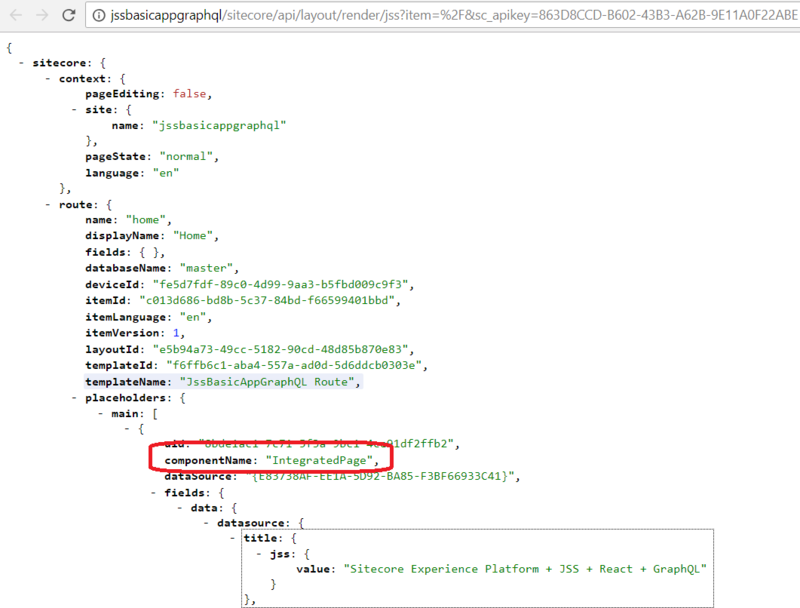 Once code-first JSS solution is deployed to a running sitecore instance, we can see rendering items created under Rendering folder in Sitecore content tree. But, Only Component Name field is populated with name of that component. When a JSS site loads, it gets the current route's layout data. In integrated mode, this comes by a JS object delivered directly to the renderView() method (server-side rendering), and in connected mode or during route change, the data is delivered by a HTTP call to the Layout Service.